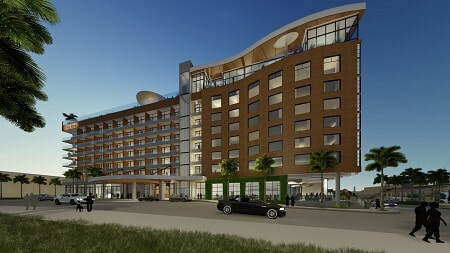 "The Ben" -- West Palm's newest hotel development -- is a step closer to its planned December opening. 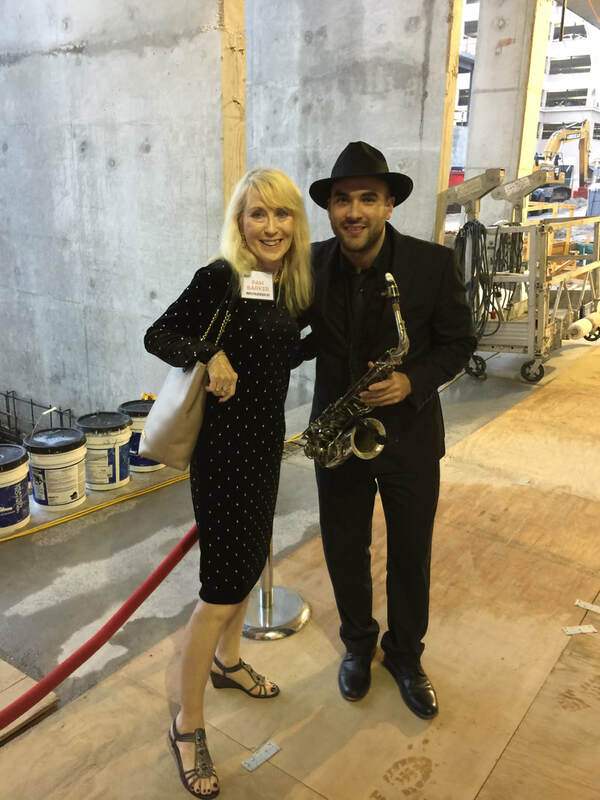 Hotel executives, project stakeholders and West Palm Mayor Jeri Muoio were among those on hand for a topping off ceremony Tuesday night, hosted by Concord Hospitality, an award-winning hotel management and development company . The Ben, which occupies the space of the old city hall on North Narcissus, is the first Marriott Autograph Collection hotel in Palm Beach County. The 208-room property is the centerpiece of Flagler Banyan Square, a 435,000 square foot mixed-use lifestyle project that will include residential, dining, retail and other amenities. 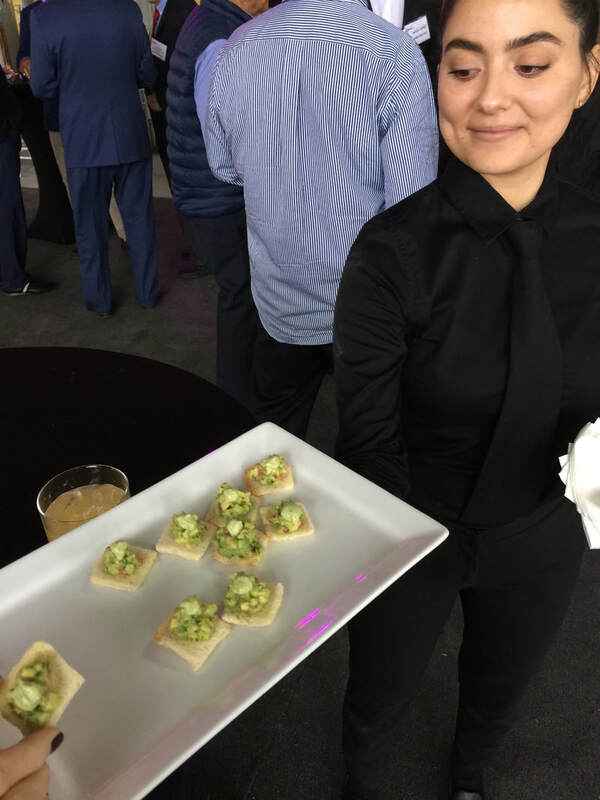 When completed, it will cater to both guests and locals with its full-service restaurant, rooftop ballroom, a rooftop pool and amenity deck "complete with spectacular views of the City Marina, Intracoastal Waterway and Palm Beach Island." 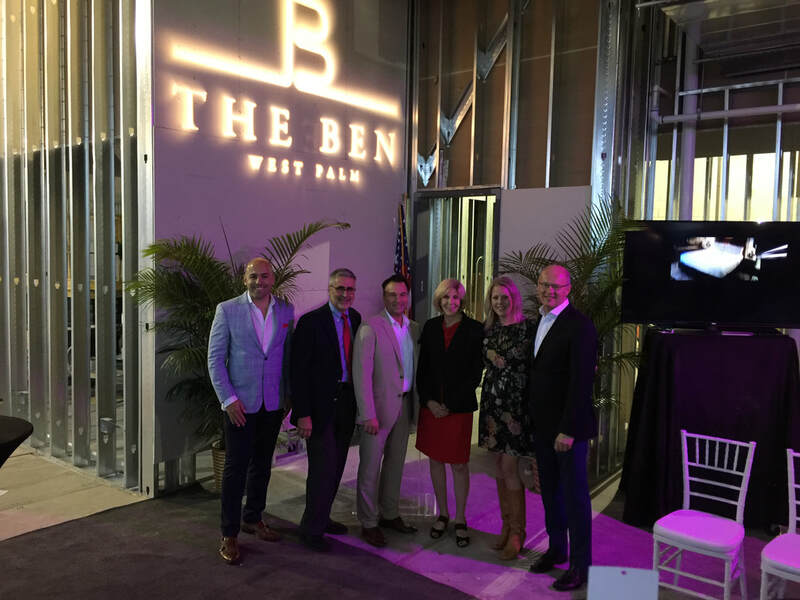 FROM LEFT: The Ben General Manager Bernardo Neto, Discover The Palm Beaches President Jorge Pesquera,The Ben Director of Sales Thom Stewart, City of West Palm Beach Mayor Jeri Muoio, Vice President and Global Brand Leader, Autograph Collection + Tribute Portfolio Jennifer Connell and Concord Hospitality CEO Mark Laport. 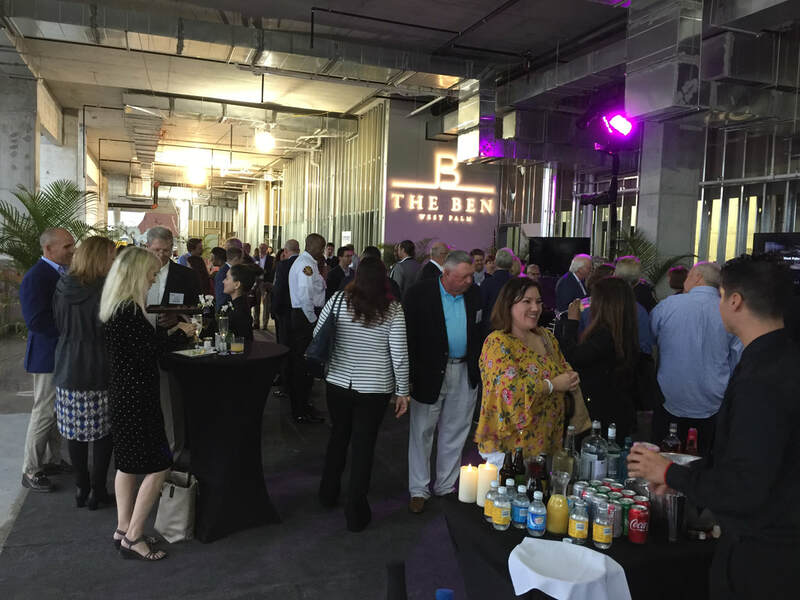 "The Ben takes inspiration from the Ben Trovato Estate, one of West Palm Beach’s great homes owned by unsung pioneer of the city, Byrd (Birdie) Dewey and her husband, Fred S. Dewey. The couple put West Palm Beach on the map and the estate became known as a meeting place for socialization, conversation, enjoyment and enrichment – a sentinel point for the Palm Beach elite to gather and talk about culture and literature. The hotel will channel a similar spirit as a gathering spot for the modern traveler. 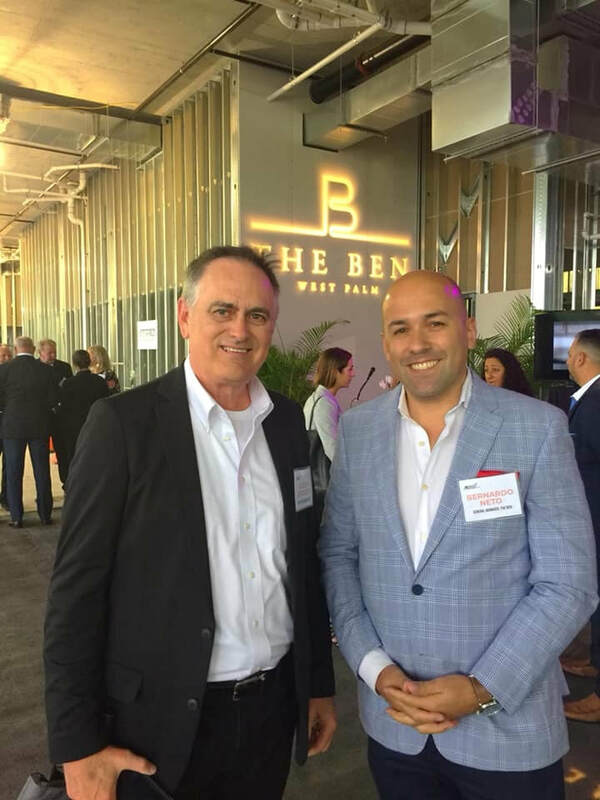 “The actual meaning of Ben Trovato is ‘even if it isn't true, it is very well invented.’ The Ben, too, will be well invented as a cultural epicenter of downtown West Palm Beach," said Mark Laport, Concord Hospitality CEO. 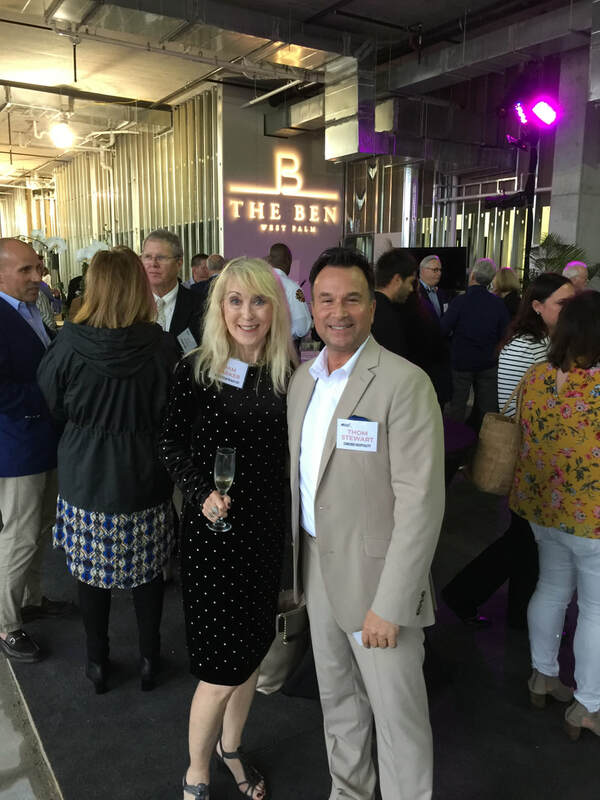 We raise a toast to The Ben, and look forward to the grand opening late this year. Pam particpates in the beam-signing. That makes her a permanent guest!